We are once again changing the focus of our Board Watch project. When we began our evaluations of the Kansas City Missouri School Board meetings nearly four years ago we hoped that our feedback would help bring about a more effective school board, a key element in creating high functioning schools to improve students’ academic performance. Since that time the district has lost its accreditation, yet another superintendent has left abruptly along with most of his key staff, enrollment has continued to dwindle along with funding, half the buildings have been closed, and the public has lost hope. Students are already moving to surrounding districts, and it is likely when a court case is resolved even more students will transfer their enrollment to accredited districts. We have seen the board as mostly a benign body, not engaged in conflict, micromanagement and favoritism as much as some past boards but not providing the dynamic leadership necessary to overcome decades of a dysfunctional culture that has failed to serve students’ needs. Rather than attempting to grade the school board’s performance, we will be keeping our followers informed about developments inside and outside the organization that affect students. 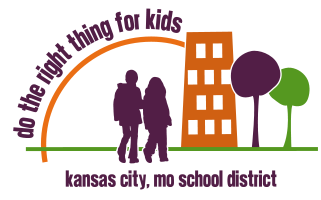 The Kansas City school system is “in play.” Its fate will impact students, families, economic development, community image and many other factors. A number of proposals are on the table. Mayor Sly James proposes to take over the school system and appoint a small board led by a CEO. This idea has worked well in some cities and less well in others. (See Dave Helling’s article in the January 16, 2012 Kansas City Star.) A proposal in the State Legislature, offered by Senator Victor Callahan, would allow surrounding accredited districts to annex portions of the Kansas City District. An addendum to that might create a new small urban core district. (See Barbara Shelly’s column in the January 6, 2012 Kansas City Star.) A Missouri statute empowers the State Board of Education to take over an unaccredited district two years after it loses accreditation, and it is being proposed that the two-year waiting period be eliminated. The State takeover in St. Louis is commonly described as problematic, but there is now beginning to be progress. Do the Right Thing for Kids has not yet endorsed any of these initiatives. However, we have become convinced, sadly, that the current District is extremely unlikely to regain full accreditation, that the current dysfunctional culture at all levels would take many years to overcome, and that drastic steps are necessary to avoid wasting the lives of more young people. A new organization is needed to achieve what is necessary. We will let you know when and why we decide to support one of the current options or some combination. In the meantime, we hope you will stay informed and let local and state officials know your views. The first Kansas City Public School Board meeting of the month is devoted to a workshop format in which the Board listens to staff members give progress reports and updates on important projects. It is not a board meeting in the usual sense, and board performance can only be evaluated by the questions board members raise. The rather expensive new website looks good and will improve communication with the various constituencies. Again, we wonder about priorities at this stage of the district’s history. Better communication is always helpful, but is it as helpful as more good reading teachers? The DTRTFK observers felt that the budget draft discussed by the interim chief financial officer was well presented and understandable. It may not have adequately accounted for the shrinkage in enrollment and funding that is likely to occur nor the costs that would be involved if the transition plan is fully implemented. We will continue to observe the school board and administrators and report on evidence of concrete, measurable progress or the lack of it. We would like to hear your views.